Sushi has long since established itself as a popular mainstay in American cuisine. And in recent years, this venerable Japanese fare has inspired a number of new raw fish food trends in the U.S.
You probably remember the poke (pronounced POH-kay) craze that swept the nation not so long ago. Its quick-to-assemble, customizable nature makes it a perfect addition to the booming fast casual dining scene. Other sushi-inspired food fads that have yet to make it mainstream include the sushi cake and the sushi burger. But if you are a sushi foodie, there is another trend you need to be on the look out for that is spreading coast-to-coast. Temaki (the sushi hand roll) is a concept sprouting up in major cities across the country. 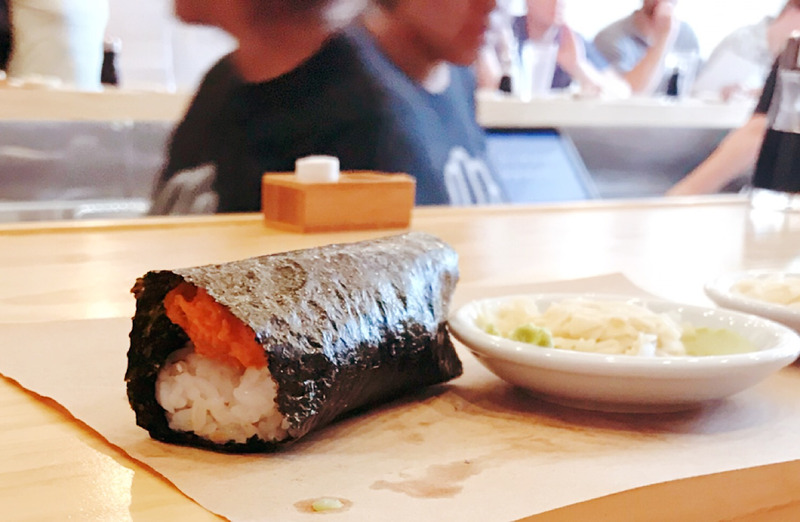 It's been colloquially dubbed the "sushi burrito" and consists primarily of rice and fish (and possibly simple toppings such as avocado or cucumber) wrapped inside a sheet of seaweed called nori. While the sushi hand roll itself is not a recent concept, it differs from more traditional sushi offerings in that it is rarely found at formal sushi restaurants. Instead, it is a dish most often served at casual eateries. More so, this dish has spurred the creation of an entire restaurant concept in the form of temakerias specializing in the hand roll. And thanks to the quick and uncomplicated nature of preparing temaki, it is proving to become one of the country's most popular lunch trends. One establishment specializing in temaki, Hando Medo in Washington, D.C., has built its business model around the idea of serving this dish with quality ingredients and notably fast. Enjoy one hand roll after another as they are rolled within just minutes. For sushi lovers looking for a delicious, quick spin on their raw fish fix, this handheld dish hits the mark.